Cities in the Northern Netherlands actively stimulate their residents to start community vegetable plots. City gardens counteract the effect of bricks and tiles (and the associated heat stress and flooding), contribute to a pleasant living climate and raise awareness of and involve people in climate adaptation. About seventy community garden initiatives are active in Groningen, and about forty in Leeuwarden. The municipalities and initiators consult social organisations on purchasing, distribution and support, such as neighbourhood restaurants and the Food Bank. 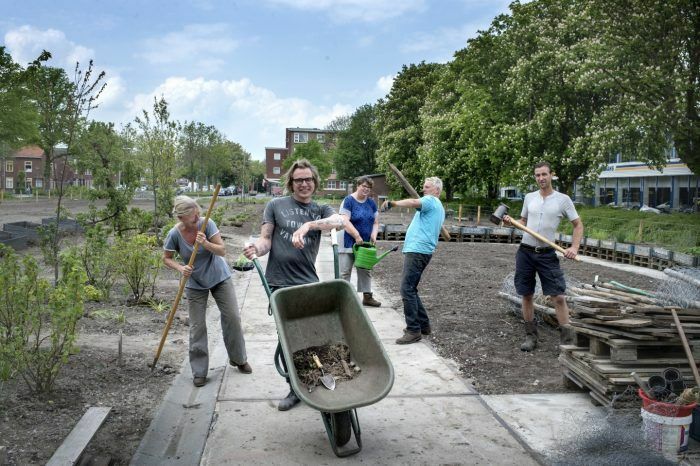 In Assen, housing corporations are closely involved in community garden policies; here, climate adaptation goes hand in hand with stimulating social cohesion.